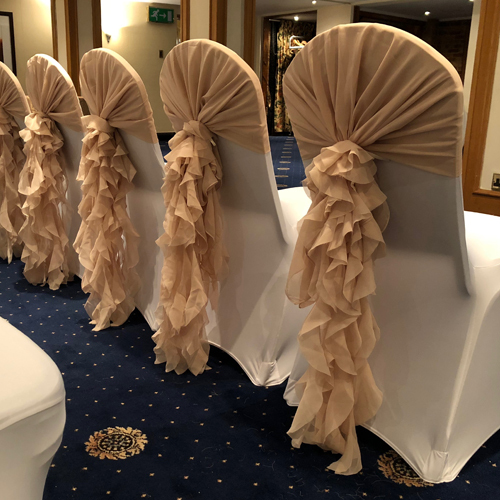 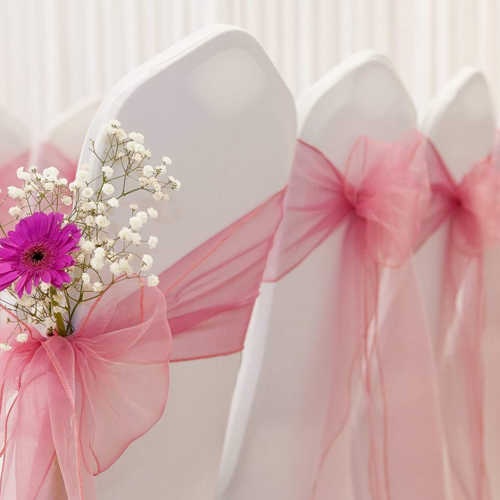 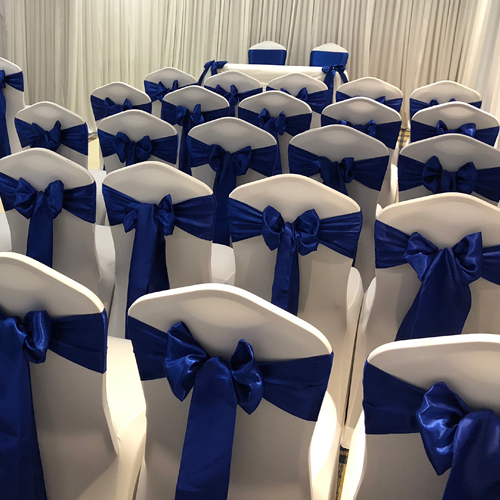 Hiring Wedding chair covers and sashes is a must to create that wow factor and to transform a venue into your event function. 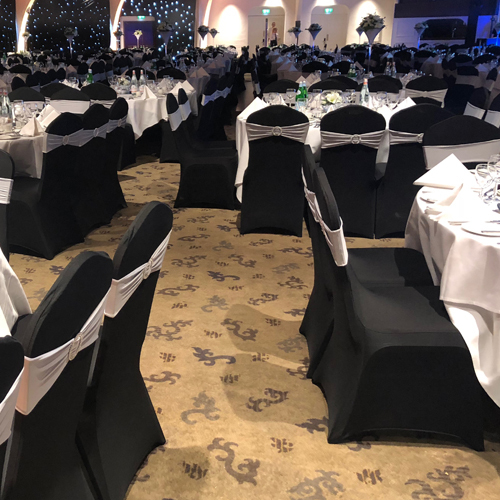 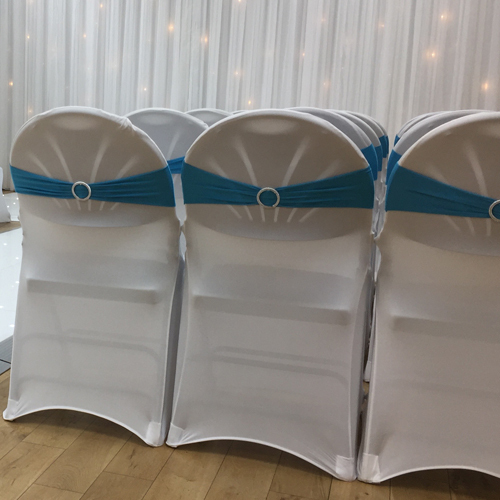 Spandex stretch chair covers come in White or Black with a choice of over 50 plus colours and styles. 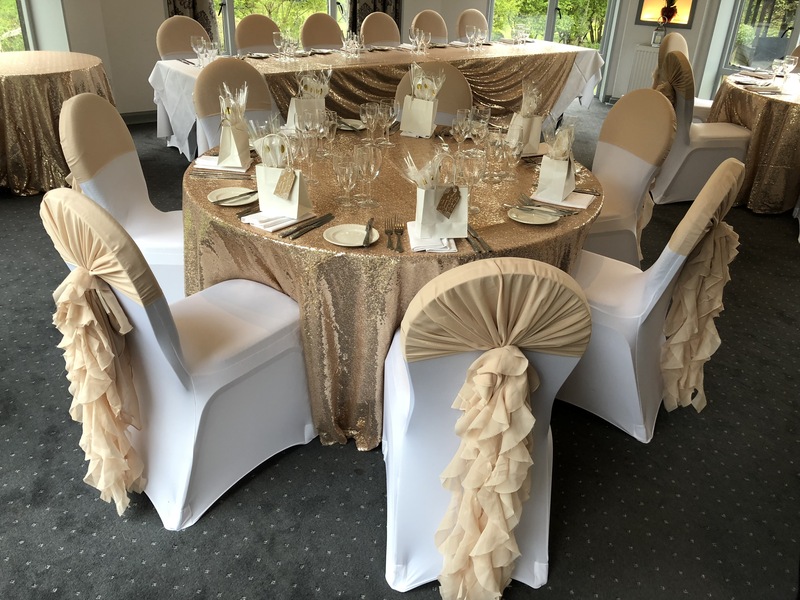 Available in Chiffon, Organza, Satin, Taffeta, Hessian, Chiffon Hood with Ruffles, Lycra band with a buckle, to meet your design requirement of your function. 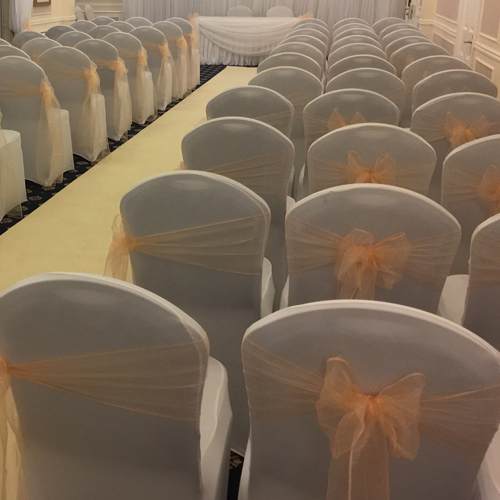 We also offer Chiavari Chairs with vertical sashes and weaving.